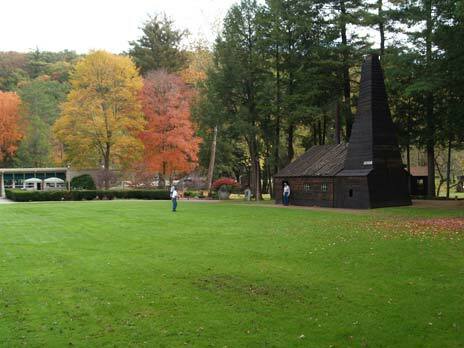 The most important oil well ever drilled was sunk in the middle of the wooded landscape of northwest Pennsylvania in August 1859. It is known as the Drake Well, after "Colonel" Edwin L. Drake, the man responsible for the well - who had no knowledge whatsoever of either geology or drilling. 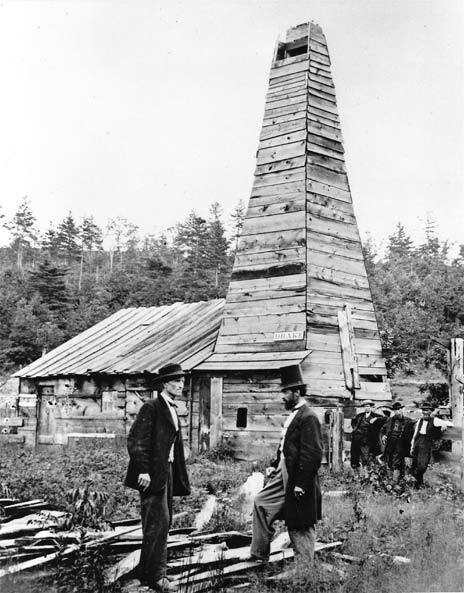 "The Drake Well was the first commercial well drilled for the purpose of finding oil. As such, it launched the modern oil industry in 1859." Barbara T. Zolli, director of the Drake Well Museum in Titusville, Pennsylvania, has no desire to take part in a competition over which is the world's first oil well, which explains why she prefers phrasing it like this. The reason for being a little cautious is that wells both finding and producing oil had been drilled in many other places around the world, long before the Drake # 1 well, and according to E.W. Owen (AAPG Memoir 6, 1975), "it seems reasonable to credit priority to the phenomenal Baku field for the world's first drilled oil well". More important for the Drake Well, a number of salt and fresh water wells in the western Appalachian had encountered small quantities of liquid petroleum during the previous decades. Drake # 1 was thus a true wildcat, without a specific target, and without any kind of geological reasoning- simple surface observations were used to find the well location. The Drake Well was spudded in the middle of August 1859 following a one year ordeal trying to get hold of a reliable driller and securing the necessary funds that were quickly running out. On the afternoon of Saturday, August 27, after having drilled to 69.5 ft (21.2 m) below the ground, at 3 ft (ca. 1 m) a day on the average, the drill "dropped into a crevice and slipped down another six inches (15cm)". Using drilling jargon, this much quoted historical account can be translated as a "drilling break", a sudden increase in the rate of penetration. It was caused by the drillbit entering the porous sandstone reservoir that later proved to contain oil. Nowadays, a drilling break would have alerted the crew, but the driller had, as can be easily understood, absolutely no experience in drilling into an oil reservoir. So they put away their tools and went home for the weekend, totally unaware that they were about to change the course of history. "They had absolutely no idea that they had struck oil that late afternoon," says Zolli. The next day, the experienced driller, William A. Smith, originally a blacksmith, who had spent much of his life drilling salt wells, visited the well and looked into the pipe. A dark-coloured fluid was floating on top of the water within a few feet of the drill-floor. Smith took a sample. It was full of black, smelly oil. The wildcat had turned into a discovery. Drake arrived on the scene the following morning and found Smith guarding the well that was now flowing at a snail's pace of about 10 barrels a day. Unlike many other spectacular discoveries, such as Spindletop in 1901 (GEO ExPro 03/2008), the Drake Well was no gusher. The reservoir was normally pressured, which was why they could drill into the reservoir without any fluids flowing into the hole and causing a blowout. The well was as such no drilling hazard even, though, for obvious reasons, it lacked a blow-out preventer. The well is said to have produced up to 20 barrels a day using a hand pump, more than any other well had produced at the time. In other words, it was not only the first commercial oil well; it was also the largest producer at that time ever. In this way, Edwin L. Drake, together with George Bissel, a New York lawyer who will be introduced below, became the founders of the modern oil industry. Without any knowledge of geology, without any experience in drilling wells, and with simple and partly handmade tools, he demonstrated that oil could be recovered from solid rocks in large quantities by drilling into the bedrock. "His personal contributions to this achievement included a dogged persistence which refused to be discouraged by continued disappointments, and the vision to apply salt-well drilling techniques to tap the reservoirs of petroleum beneath the surface," the Pennsylvanian Historical and Museum Commission pointed out at the 100th anniversary in 1959. At the time of the Drake well, geologists had no solid theory on the generation, migration and entrapment of oil and gas. In fact, the pure existence of rock oil - oil contained in the pores of solid rocks - was a novelty. To suggest that oil could be found and produced by drilling slim holes into "tight rocks" was looked upon as a highly risky and bold venture. To be fair, we have to remind ourselves that geology, unlike mathematics, physics, chemistry and biology, was in its infancy half way into the 19th century. It was only in 1839 that two British geologists had introduced the Devonian System, the geological period that the Drake Well sandstone reservoir belongs to. (Roderick Murchison erected the Cambrian, Silurian and the Devonian systems, the story behind the Silurian is told in GEO ExPro 05/2008. So, without any geological idea of where to drill in order to find oil, why was the narrow valley south of Titusville selected? The answer is simple, and it has been repeated many times in the history of exploration for oil and gas: "The oil is where you find it". In this particular case, small quantities of oil were known from many places in the western Appalachians during the early and mid-19th century when drilling for either salt water, using the salt for food preservation (in the 1800's, most of the salt in western Pennsylvania came from evaporated salt water obtained by drilling wells), or just plain drinking water. When they found oil contaminating the water, they considered it a "duster" and abandoned the well. At the time, no one really knew what to do with it. Oil was not a commercial product until about 1850. Also, many oil seeps occurred in this region. They were well known around Titusville, and the actual location of the Drake Well is just to the north of several dried-out seeps, as can be seen on a visit to the Drake Well Museum park area. In the years after the discovery, numerous geologists published their ideas based on observations of seeps, bituminous shale, and other petroleum indications. Little by little, literature was generated demonstrating the geological controls on petroleum occurrences. Natural gas from shallow wells was used in New York as early as 1821 for lighting and heating, Most of the major cities in the eastern United States had distribution systems for coal gas street lighting by the 1850's. Petroleum: Refining oil into lamp fuel; first done by Samuel Kier in the 1840's. Kerosene (coal oil): Oil distilled from coal and asphalt; first done by Canadian geologist Abraham Gesner in 1846. Rock oil: Oil from the ground, so called to distinguish it from vegetable oils and animal fats. 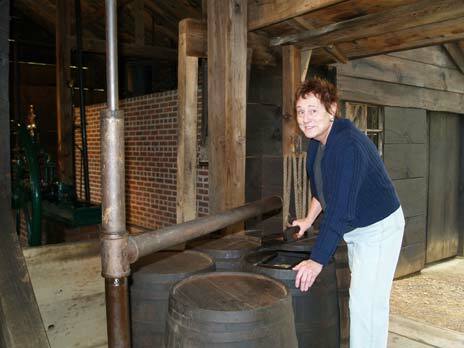 Barbara Zolli is director of the Drake Well Museum which is located just a few minutes drive south of Titusville. The museum is located just outside a large recreational area called Oil Creek State Park. Zolli is here seen inside the Replica of Edwin Drake’s engine house with the wooden barrels used to collect and ship crude oil. Photo: Halfdan Carstens The modern oil industry did certainly not emerge from a vacuum upon this surprising discovery in 1859. Both liquid and solid oil (bitumen) had been well known around the world from surface seeps, dug holes and shallow wells, and for thousands of years oil had found wide applications. Several regions outside North America did in fact have an ongoing petroleum "industry", albeit small, long before the Drake discovery. This is in particular true for Burma, China, Azerbaijan, Persia and Iraq (GEO ExPro 02/2009: "Oil from Babylon to Iraq"), but to some extent also for Europe. Oil was used in small quantities for the purpose of healing, waterproofing boats, embalming the dead, greasing chariot axles and building material. The Chinese had a complete oil and gas industry 100 B.C., including drilled wells and bamboo pipelines, and even junk "supertankers" transporting oil for light and heat. It is less well known that a well drilled in Germany in 1859 also found oil. However, the purpose of this well was to map coal deposits that were extensively exploited in this area. Oil was also well known in the western Appalachians long before the events in the late 1850's. 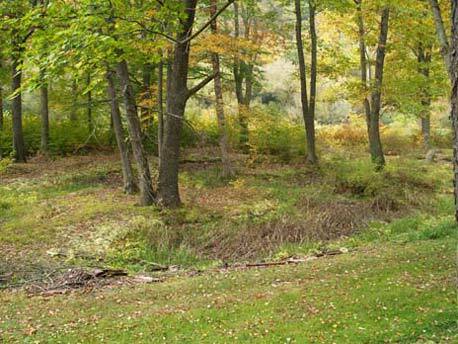 For hundreds of years, the natives had known about numerous seeps in western Pennsylvania. In fact, there is strong evidence that Native Americans, at least as far back as 1410 AD, had been harvesting the oil for medicinal purposes by digging small pits around active seeps and lining them with wood. The oil springs at Oil Creek also formed a part of a religious ceremony of the Seneca Indians who lived on these "wild" hills. Later, Europeans skimmed the oil from the seeps and used the petroleum as a source for lamp fuel and machinery lubrication. 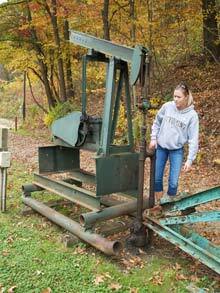 Then, around 1790, one of the first settlers along Oil Creek began collecting oil from seepages and introduced petroleum to Pittsburgh. In Pennsylvania, the new, rich supply along Oil Creek was preceded by a few tens of years by the manufacturing of "coal oil" (kerosene) and the refining of small quantities of oil found as impurities in salt water wells. This was at a time when the industrial revolution had increased the demand for artificial illumination and advances in mechanical production had created the need for lubrication. Vegetable oils, animal fats and oil from sperm whales - the latter had served as a reliable source for the rich for hundreds of years - could not meet demand. Sperm whales had, in fact, been hunted almost to extinction. The use of oil was, however, limited, something that the author J.T. Henry (History of Petroleum, 1873) finds quite strange: "Its value as a lubricatror was indisputably established; its medicinal properties were appreciated; very little stood in the way of adaption to purpose of illuminating, ... , that in the light of the present events, it is impossible to understand how its importance could have been overlooked". The situation in 1859, when Drake spudded his well, was that oil was in demand because of its use as both an illuminant and a lubricant, and there was a lack of supply. A reliable and plentiful source was needed. The alluvium and glacial outwash at the location of the Drake Well is underlain by the Upper Devonian Riceville Formation shales. The top of the bedrock was hit at 32 feet (9.75 m) depth. In fact, this is also where the true drilling started, as Drake himself invented an iron pipe that was driven through the alluvium to prevent water from flowing into the hole. Today, the drilling crew would call this a "driven conductor". Drake's driller went on for another 37.5 feet (11.43 m) into the sedimentary rocks and stopped at a total depth of 69.5 feet (21.18 m). At the bottom, the well hit a thin bed of sandstone, now named the Drake Sand, estimated to be some 2.5 feet thick (0.76 m). "The borehole must have encountered the feather edge of this stray sandstone because it wasn't found in a well later drilled directly across the creek or in wells to the south," according to the web-site "Oil History". Henry D. Rogers, the first State Geologist of Pennsylvania, believed that Devonian black shales were the source of the oil found in this region, and he suggested that "... the greater portion of the oil and gas is derived from marine carbonaceous shales". This was in 1863, long before it was accepted that oil and gas have an organic origin. 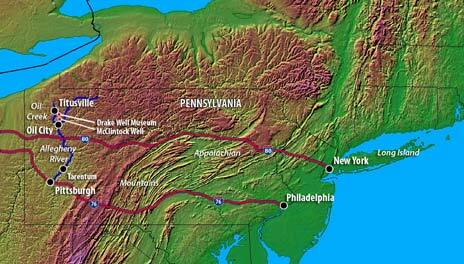 At this time many also believed that oil originated from coal that is plentiful in Pennsylvania. 1847: Samuel Kier (1813-1874) began bottling and selling petroleum in half pint bottles. It was used as a cure for all ailments. The petroleum was gathered from his father's salt wells in Tarentum, some few kilometres northeast of Pittsburgh, along the Allegheny River ("the beautiful river", so called because it runs through some of the most picturesque country on the new continent, in particular so with the autumn colours that have inspired the present author) that also runs through Oil City further north. Despite its low price, Kier was unable to dispose of all the oil produced by these wells. The market was, for whatever reason, just not big enough. "... about four hundred feet below the Earth's surface, is pumped up with the Salt Water, flows into the Cystern, floats on top, when a quantity accumulates, is drawn off into Barrels, is bottled in its natural state without any preparation or admixture." Kier's advertisement for his rock oil. Kier knew that the oil was flammable and believed that he might use the surplus if he could find a method that eliminated the annoying smoke and the strong odour. After much experimentation the innovative entrepreneur devised a distillation process, and around 1850 he began to distill petroleum, calling the new product "carbon oil". It soon appeared that carbon oil was both cheaper and better than any other illuminant and thus came into general use in western Pennsylvania. It was also traded in New York City and the price jumped to USD 2.0 per gallon (USD 84 per bbl). The demand for Kier's carbon oil was so great that he had to increase the capacity of the world's first refinery. All efforts to increase the supply to meet the demand were, however, unsuccessful. It should take more years and other entrepreneurs to find a reliable petroleum source. 1853: Francis Brewer, a graduate from Dartmouth College (an educational institution since 1769, located in Hanover, New Hampshire) and physician in Titusville, brought a small bottle of petroleum when visiting his professors at the college. The petroleum came from a seep in a farm belonging to Brewer, Watson & Company, a lumber company on Oil Creek. 1853. George Bissel (1821-1884), a former professor, journalist and high school principal, turned lawyer, travelled through western Pennsylvania on his way home from New Orleans. Here, for the first time, he observed oil being skimmed off numerous seeps scattered around the country. By chance, he soon after found a bottle containing a sample of the Pennsylvania rock oil when visiting a professor at Dartmouth College, New Hampshire. It had been brought there only a short while before by Francis Brewer. Bissel, an exceptionally bright gentleman, knew very well that rock oil was used as a medicine to relieve a huge range of traumas for both humans and animals. It was known as Seneca Oil, honouring the local natives who had been using it for hundreds of years. 1854. The Pennsylvania Rock Oil Company of New York, the first petroleum company in the world, was established by Bissel and others with the intention of developing an oil spring. However, little was known in the public about the value of petroleum and sales of stock did not go well. 1855. Benjamin Silliman Jr., a distinguished professor at Yale University, and one of America's leading chemists at the time, was hired to analyze the properties of "Seneca Oil" as an illuminant. After three months analyzing the oil, he finalised his report in April 1855. He determined that the oil could be distilled into several fractions through a simple and inexpensive process, creating very high quality illuminant. He writes that "... your Company have in their possession a raw material from which, by a simple and not expensive process, they may manufacture valuable products". The delivery of this report has been described as "a turning point in the establishment of the oil industry". The report made it clear that rock oil could be used if distilled into fractions consisting of carbon and hydrogen (CH4, C2H6, ...). Silliman's analyses simply ensured the financing of the Drake well. 1855. Together with James Townsend, president of a bank in New Haven, Connecticut, George Bissel on September 18 formed the Pennsylvania Rock Oil Company of Connecticut under the more liberal corporation of laws of Connecticut. Silliman himself gave credibility to the enterprise by buying 200 shares. They hoped that "rock oil" could be recovered from the ground in large enough quantities to be used commercially as a fuel for lamps. The company was founded on the belief that refined products from rock oil had a commercial value as an illuminant and lubricant so long as sufficient amounts could be produced from rocks below the surface. However, the trouble was that no such place existed. Nowhere in the US was oil being produced in any substantial quantities. The only oil came from skimming tiny seeps and salt water wells. There was no reliable and plentiful supply. The two entrepreneurs now had a superior product, and had proved there was a market, but they lacked a supply of raw material to produce it. The next step would be to look for it. At the southern end of the Drake Well Museum and Park you will find some shallow depressions, up to two meter deep and more than five meter across, that are the remains of old oil seeps (“pits”). Recent studies show that they were used by Native Americans to produce oil long before European settlement in this valley. Photo: Halfdan Carstens Oil Creek and Oil Creek Valley got their names because of the numerous oil seeps along the river. Native Americans harvested the oil in pits - and there are several hundred of them remaining, over a meter deep and up to 10 metres across. After a heavy rain, oil seeps into the pits and rises to the top as they fill with water. Some of the pits have been shored up with timber, which has been proved through carbon dating to be over 600 years old, predating the European settlers. The oil from these pits was used extensively for medicinal purposes by the local Native Americans, the Seneca tribe. It was used as a salve, mosquito repellent, purge and tonic. The European settlers learnt from their new neighbours, and found ‘Seneca oil' to be excellent for burns, bruises, and old sores, and also ‘rheumatick' complaint. They even drank the oily waters of Oil Creek as a gentle but effective laxative. The obvious conclusion to this problem was to find a source. No one had done that before. All the oil in use had been found on the surface or through the drilling of water wells. This would be the very first attempt to explore for oil. And, sad to say, neither geologists nor geophysicists were involved. A lawyer, George Bissel, was instrumental in finding a low-risk prospect and was then responsible for the world's first true wildcat. Edwin L. Drake would be the operator. What made Bissell something of a visionary was that he would try to extract the rock oil from the ground by drilling, using the same techniques as had been used in salt water wells. Townsend was also persistent and is later said to recall unbelievers saying "Oh, Townsend, oil coming out of the ground, pumping oil out of the ground as you pump water? Nonsense. You're crazy". 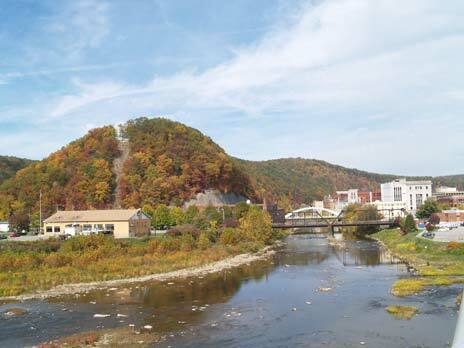 Bissel and his partners in Pennsylvania Rock Oil Company were the first to plan a true wildcat into sedimentary rocks with the hope of finding liquid oil that would either flow or could be pumped to the surface. Put differently, they were the first to conceive the idea that oil is reservoired in solid rocks and therefore could be produced by drilling wells into them. We should keep in mind that this was not at all obvious at the time, as very few geologists had engaged in the understanding of how hydrocarbons occur. Edwin L. Drake (1819-1880) had only a common school education. He was by no means a geologist, neither did he have any experience in drilling wells, when in 1857, at 38 years old, he made the acquaintance of James Townsend. Townsend persuaded him to buy some stock in the oil company he had founded, and later made arrangements for Drake to go to Titusville to examine the oil seeps at the Brewer, Watson & Company farm where seeps were well known. One important qualification for this post appears to have been a free railroad pass remaining from his previous job, thus saving Bissell and his partners the expense of paying for a prospector to travel to the area! This was in December 1857. He visited the principal oil spring and saw oil being used for lighting and lubricating purposes in sawmills. During his travel, Drake also examined salt wells at Tarentum near Pittsburgh. He now believed that oil could be found in large quantities around Oil Creek. On the basis of Drake's report, Townsend set up Seneca Oil Company of Connecticut on March 23, 1858. Drake was appointed General Agent and sent to Titusville to find and produce oil by drilling a wildcat. He arrived with his family on May 1, 1858. He started out "digging along in search for oil and other valuable ... and am now gathering bout ten gallons of oil per day" (approx. a quarter of a barrel). Having encountered a water vein, he gave up digging pretty soon stating that "I am satisfied that boring is the cheapest". To find a driller, however, turned out to be a difficult task, and it was not before June the following year that William Smith, "Uncle Billy Smith", arrived on the scene. Smith helped build a derrick and engine house for the steam engine and boiler used to drill. In the meantime, Drake's men already had worked for some time digging a well hole and putting up timber to hold back the dirt, but they encountered much trouble from water flowing into the well, as the water table was almost at the surface. The hole also caved in all the time. Drake therefore engineered an iron tube, a conductor that was driven down to the bedrock less than 10 meters below the surface. To drill for oil at that time was no easy task. Nowadays this is hard to imagine, knowing that the well bottomed at only 21 meters. But the Drake Well was the first wildcat ever, meaning that the venture was looked upon as highly speculative. Drake was ridiculed by the locals who referred to the venture as "Drake's Folly". Also, it was difficult to get hold of reliable drillers, in spite of the many salt water wells drilled in Pennsylvania the years before. The actual drilling operations, by the way of spring-pole drilling, where the bit, suspended from a limber sapling, was repeatedly raised and dropped into the well to chip through the rocks, started in the middle of August 1859, first inside the pipe, then through bedrock. As we now know, the operations continued for some 11 meters before a drilling break occurred as the drillbit ran into a thin sandstone bed full of oil. The boom was on. But that's another story. "Drake became the founder of the modern petroleum industry by providing the one essential factor which hitherto was lacking - a demonstration that a dependable supply of a great natural resource could be obtained by drilling." Success at Oil Creek, U.S. Department of the Interior/Geological Survey, 1980. Renowned North Sea geologist Richard Hardman looks back at the 1975 discovery of the billion barrel Valhall Field. The Barnett Shale gas discovery, like ‘Spindletop’ nearly 100 years prior, changed an industry by unlocking huge new volumes of oil and gas, this time from shales.